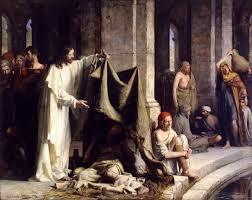 In the context of this question, Jesus and His disciples had walked up to the Pool of Bethesda. This place was where sick people came because they wanted to be healed. According to their beliefs [the text is unclear whether it actually happened or was simply a belief] at random times an angel would stir the water of the pool and whoever was the first one into the water after that happened would be healed. While there are many reasons for sickness, in the case of this particular man his sickness was caused by some kind of sin [John 5:14]. In asking if he wanted to be healed, Jesus was also asking if he was willing to leave the sin behind. The Bible is clear. If we receive deliverance but are unwilling to walk in that deliverance and return to our old ways we can find ourselves in worse shape than we originally were. It is not genuinely helping to deliver someone who is only going to use it to get into worst trouble!